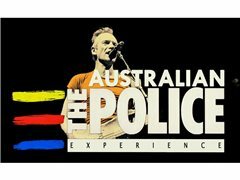 The search is on for a vocalist for a touring POLICE tribute band. The vocalist should also play bass or if you play guitar, you will be willing to perform bass for this show. Bass is not essential but advantageous to perform the role of STING from the POLICE. Professional studio/session musicians are involved in this project with shows to be booked once rehearsals are done. It is not full time but this project will be a PAID per show band. Likeness or able to look like STING is advantageous. Able to mimic the vocals. No commitment is required other than to be part of this project as gigs become available. So in essence you can still play in your current band or do your solo/duo projects. Band is based in Melbourne Australia. Dates TBD. Please send bio/epk or social pages with links that include audio and video. Vocalist for touring POLICE tribute band.